Oh how we miss Italy! As you might have seen from our pizza post, we recently visited Rome for a weekend to re-acquaint ourselves with Italian culture, the fabulous fashion and architecture…and most importantly, the food! As soon as we booked the flight and hotel, we made a list of food we absolutely had to have during our stay – pizza, pasta, gelato, espresso – we did it all. And luckily walked it all off! Now we know how Romans manage to look so trim – those cobblestones ain’t (sic) no joke. But! On our last day in Rome, after forgetting that Italians take their day of rest relatively seriously, we stumbled on a classic Roman restaurant serving classic Roman specialities – salt cod, deep fried courgette flowers, Parma ham and mozzarella and…melanzane alla parmigiana. 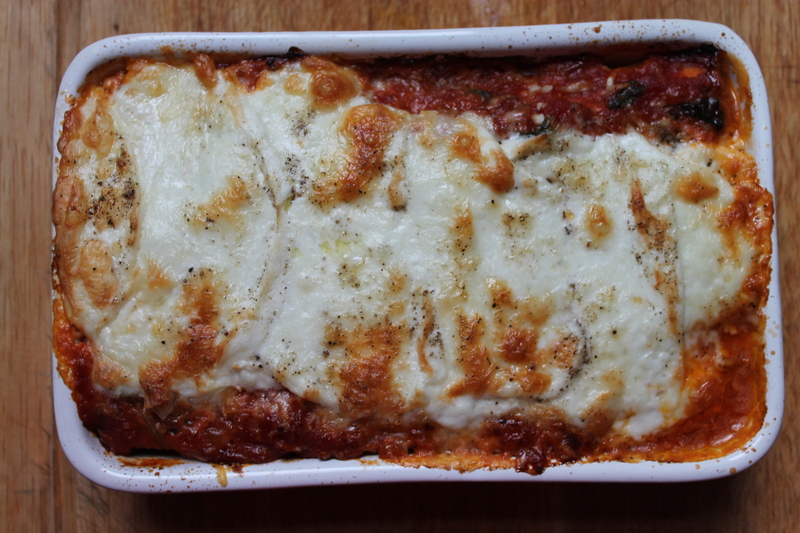 For those of you who are unfamiliar with this dish – it consists of roasted sliced aubergine baked into a rich tomatoey basil-infused sauce and covered with melted mozzarella and parmesan. It is so good, you forget all about pizza and pasta. REALLY. So, faced with a large amount of plantain from Anchal’s trip to Brixton (saaf London), we thought, wouldn’t it be great if we could give it the Roman treatment? So we did. And it was awesome. If you’ve seen our post on plantain crumble, you’re probably confused as to what it might taste like. However, this recipe uses unripe plantain, which reminded us of floury potatoes. 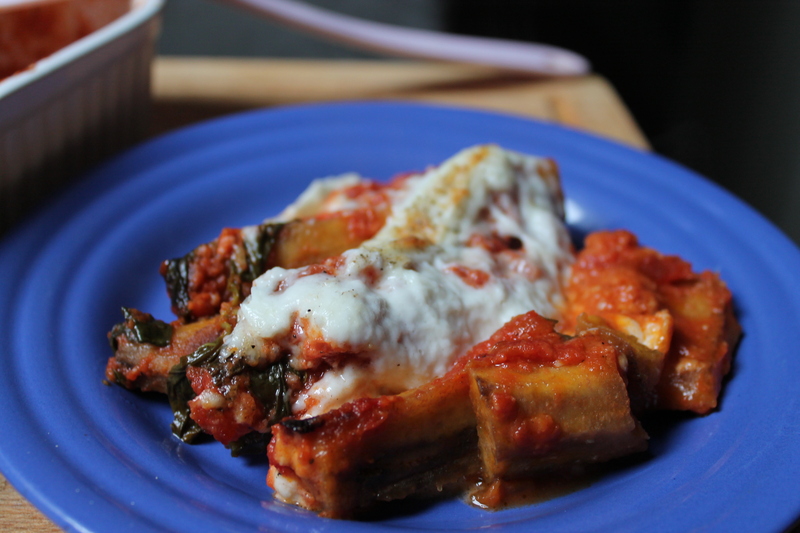 So give it a go, you will probably want to make this one a weekly fixture in your food diary! Preheat the oven to 180 degrees Celsius (fan-assisted). Slice the plantains into rounds and saute in a frying pan with 1 tablespoon of melted butter on a medium heat, until browned on both sides. Set aside for now. Melt the remaining tablespoon of butter in a saucepan and cook the garlic puree on a medium heat for 1-2 minutes. Add the chopped tomatoes and basil, as well as salt and pepper to taste. Simmer on a medium-low heat until the butter has separated from the sauce (this will take about 15 minutes). Once the sauce is cooked, arrange the sauteed plantain slices in a baking dish, into one layer. Pour the sauce over the plantain slices, making sure that they are completely covered in sauce. Sprinkle the grated parmesan over the top of the sauce. Lay slices of mozzarella on top and drizzle olive oil over the whole mixture. Add ground black pepper to taste. 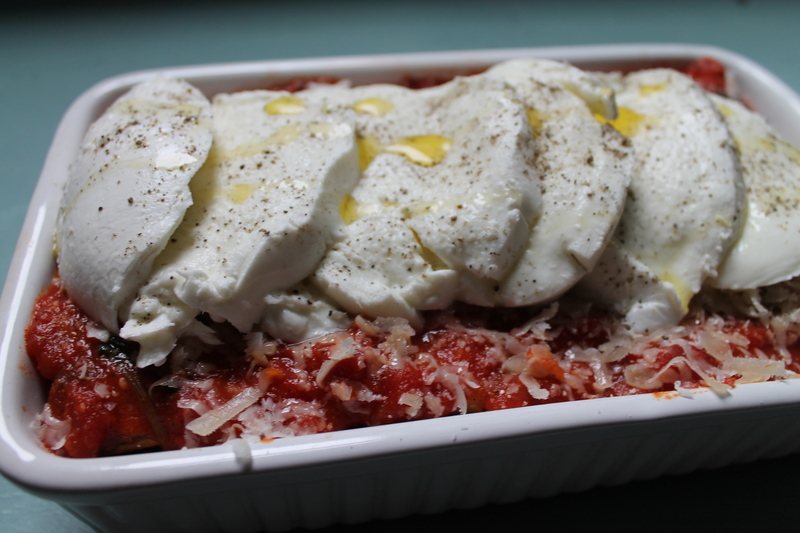 Bake for 25 minutes until the mozzarella is melty and golden.